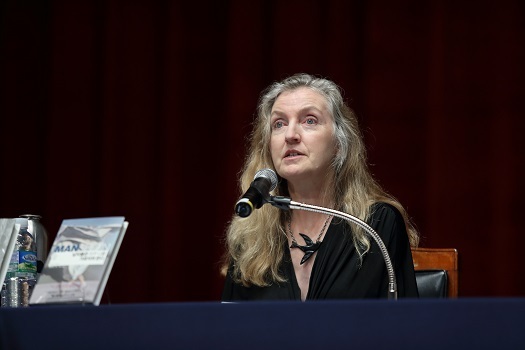 An author who has created a sensation worldwide with her coinage “mansplaining” (“man” + “explaining”), Rebecca Solnit visited South Korea on the occasion of the publication of her latest work in the country. A collection of feminist essays, The Mother of All Questions is a sequel to Men Explain Things to Me, a 2015 work that started a passion for feminist publications. Selected as the “Book of the Year” by diverse media and sold in some 15,000 copies in that year alone, Men Explain Things to Me has set an unprecedented record in sales as a feminist book. In the evening of the same day, Solnit delivered a lecture on feminism for readers. Public interest was so intense that over a thousand people applied in only one week when open solicitations for audience members to the lecture were made, and applications poured in so that the venue of the lecture had to be changed to the grand auditorium of the New Millennium Hall at Konkuk University (800 seats). Solnit read a presentation titled “If I were a man” at the lecture on this day. Many readers attended and listened attentively to each of her words, a testimony to the recent fervor for feminism in South Korea. During the question and answer session held after the lecture, questions seeking advice on the direction that feminism must take in the country continued. 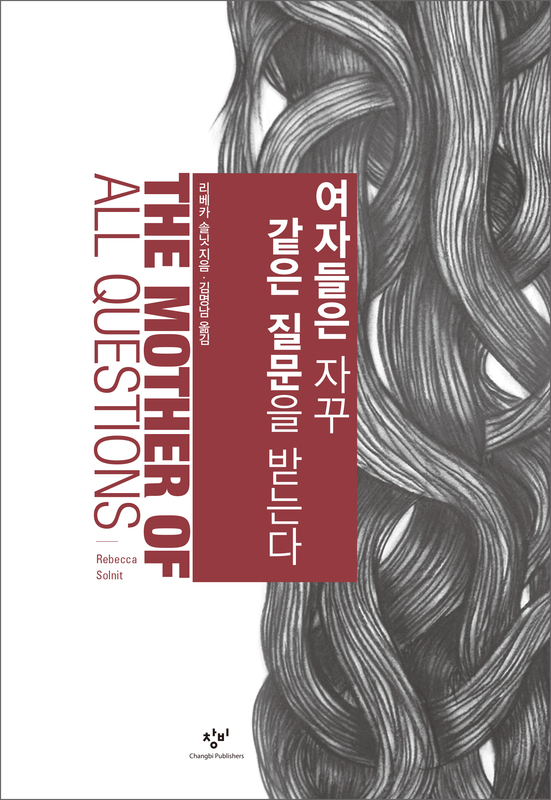 The latest work by Solnit, The Mother of All Questions discusses new waves in feminism around the globe while addressing a variety of topics such as dating violence, digital sexual crimes, misogynistic murder, and literary works, comedy, and history that exclude women. Together with Men Explain Things to Me and Hope in the Dark: Untold Histories, Wild Possibilities, Korean translations of which have been published by Changbi, the work completes the author’s “hope” trilogy. In addition to the latest volume, an updated version of Hope in the Dark: Untold Histories, Wild Possibilities has been published as well. A collection of essays that demonstrate Solnit’s work as a social activist, who has been passionately involved in environmental, anti-nuclear, and human rights movements, this book has caught public attention and been read widely once again in the United States since the election of President Trump.